Head to their “Share” section here. Click the “invite” button and fill out your details on the form. At this point, you’ll find your unique referral link and code. At this point you’ll be able to send out your £10 credit offer. Once your friend makes an eligible purchase you’ll unlock your own £10 credit. Ensure your referring friend has your email address and your consent to use it. You’ll either receive the link via email or your friend can copy and paste it to you via social media and messenger apps. Ensure you use this link and/or code when you sign up for your new account and place your first order within 2 months of acceptance. You’ll receive £10 off and, at this point, your referring friend will receive their referral bonus too. 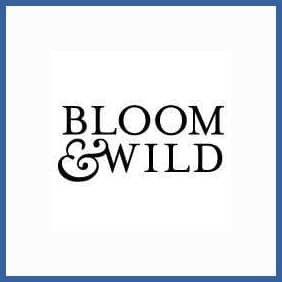 Bloom & Wild provide British designed flower bouquets across the UK and Europe. Combining innovative design with the traditional English garden the flowers are sourced responsibly and quality is ensured. You don’t have to be an existing customer to utilise Bloom & Wild’s refer a friend program, so once you’ve successfully referred a friend (they get £10 as an incentive) you’ll be able to enjoy a £10 credit towards your next order whether you’re new to the site or a regular.